Look at the base of the leaf and you will find a sheath forming a papery tube around the stem. 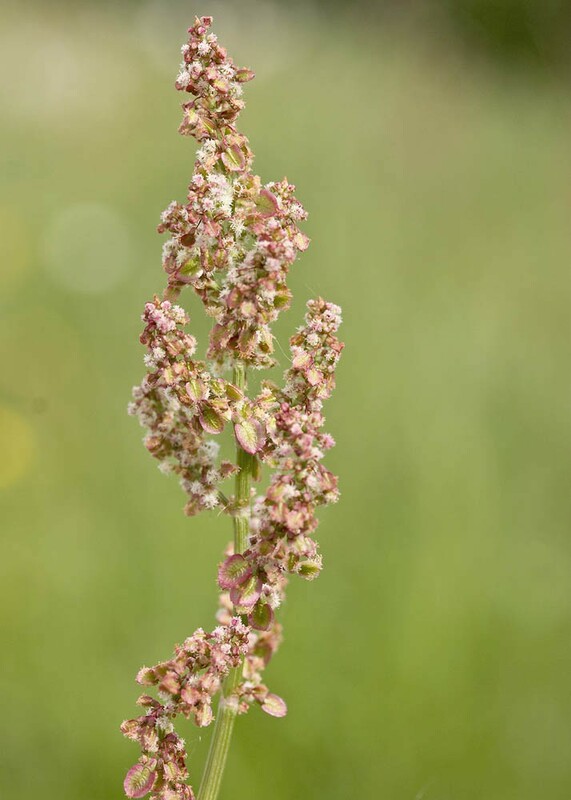 This tells you Sorrel is a member of the dock family but, unlike the other docks and in common with its cousin sheep’s sorrel, the leaves of common sorrel are arrow shaped. 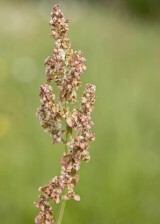 Sorrel is dioecious which means male and female flowers occur on different plants. The second from bottom picture on the right shows the female flowers and ripening fruit whilst the main photograph shows the reddish colour of the ripe papery fruit. Sorrel can be eaten as a salad leaf or as a soup and has a sharp grape skin like flavour due to the presence of oxalic acid. 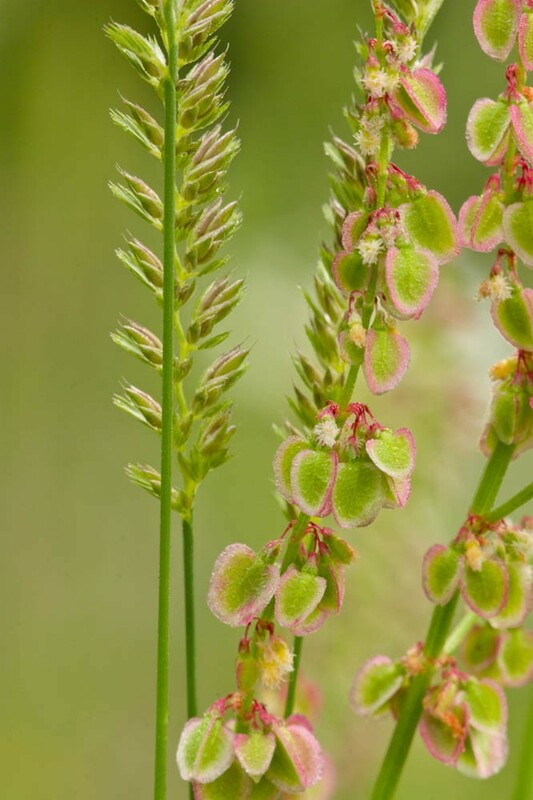 A tall short-lived grassland perennial, Common sorrel is found in a wide variety of habitats across the British Isles but is particularly characteristic of meadows and pastures. 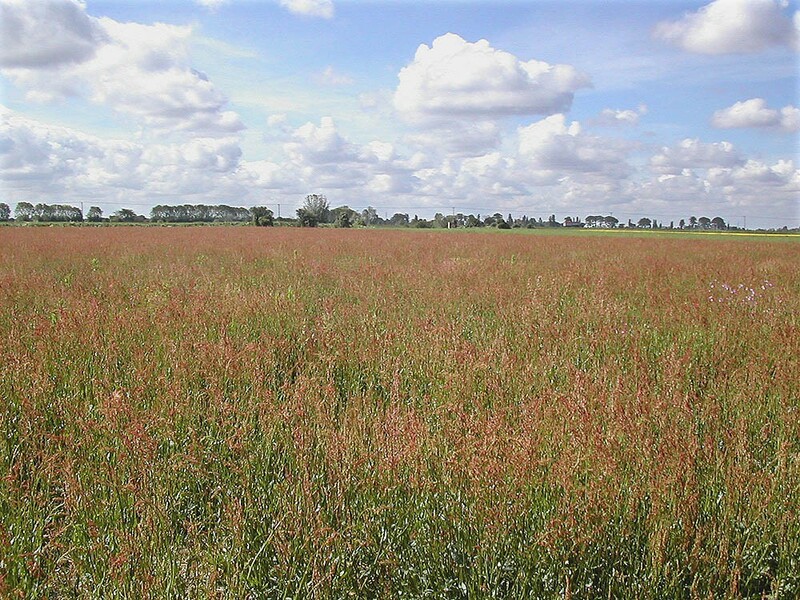 Although it can be established on calcareous sites it thrives best on neutral to slightly acidic soils. 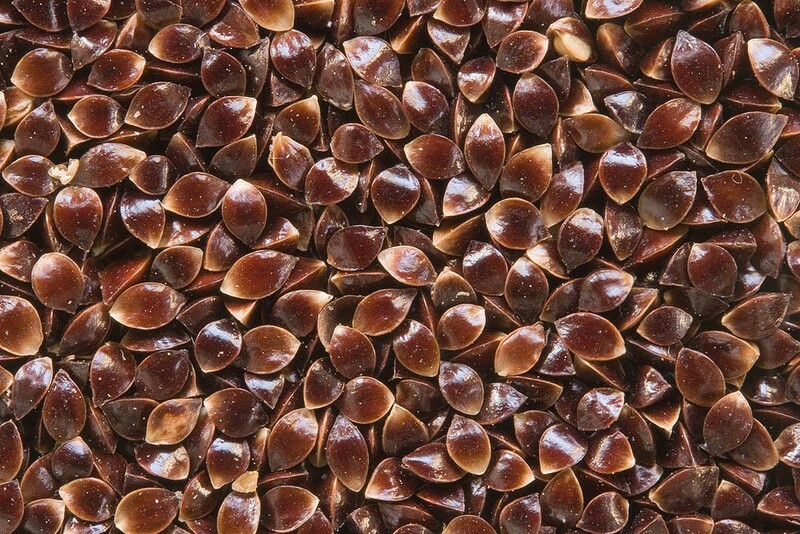 Regeneration is mainly by seeds which are produced in quantity. 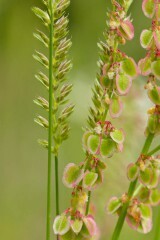 Common sorrel is wind pollinated and is an important larval food plant of the small copper butterfly.